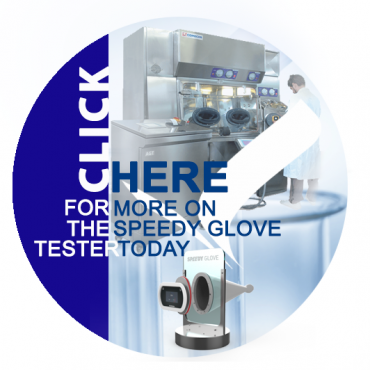 The Speedy Glove is a revolutionary new product that automatically tests the integrity and reliability of your gloves being used with isolation technologies. In approximately 3 seconds, the Speedy Glove uses its powerful fan to reach glove inflation of 1000 Pa, where most other devices on the market take 2-3 minutes. It’s a system that is Fast, Flexible and Feature-Rich. In 2008 the EU Guidelines to Good Manufacturing Practice (GMP) featured a revision in Annex 1 that emphasized the seriousness of glove integrity testing saying “monitoring should be carried out routinely and should include frequent leak testing of the isolator and glove/sleeve system” (point 25.). It’s strongly advised to implement an automatic, validated, method that adheres to ISO 14644. When working in an isolator, the gloves you use are one of the weakest components – susceptible to exposure or damage through pinholes, punctures or cuts since they are the contact point between an operator’s hands and the process tools. Leaks in your isolator system can lead to intrusions of contamination. It’s because of this, Comecer (Italy), the industry pacesetters in manufacturing customized production isolators, created the Speedy Glove. 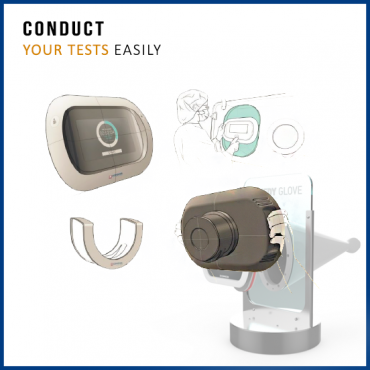 Testing can be performed in place (leaving the glove mounted on the flange) or remotely. 2 simple steps complete the process. First, utilizing a powerful yet quiet fan, the Speedy Glove reaches an inflation of 1000 Pa in around 3 seconds. Secondly, a pump performs the pressure test to hold inflation for approximately 3 to 5 minutes. Most other devices on the market require 2-3 minutes just to inflate the glove. That’s approximately 30% more time required to complete the glove integrity test overall! The Speedy Glove is compatible with VHP (Vaporized Hydrogen Peroxide) making it perfect for use in Grade A environments after thorough decontamination. Thanks to its compact size, it can be easily introduced to the isolator through a pre-chamber or transfer airlocks in Grade A or B environments. Once inside and using the correct flanges, activate your glove test process to check your glove integrity from the inside out, without breaking sterility. Gloves can also be tested from the outside inwards. 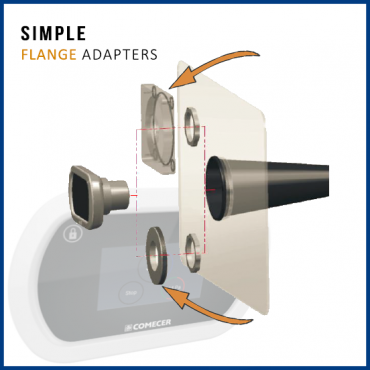 Easily switch between glove flanges, using a separate adapter – no hardware changes required. An inflatable gasket is included in the flange adapter. The Speedy Glove has no restrictions in format or glove sizes. 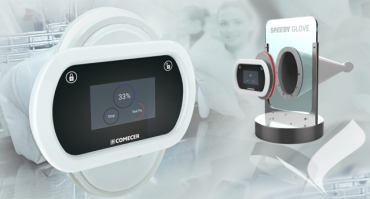 For the first time in the industry, Comecer’s concept of Over-Port testing is introduced in parallel with the classic In-Port rest that makes it possible to test not only the integrity of the glove but also the entire mounting (glove ring) flange on which the glove is connected.